The principal photographer for Maru Landscapes is Jeremy Jackson. Jeremy has been photographing pacific northwest wilderness for 20 years. 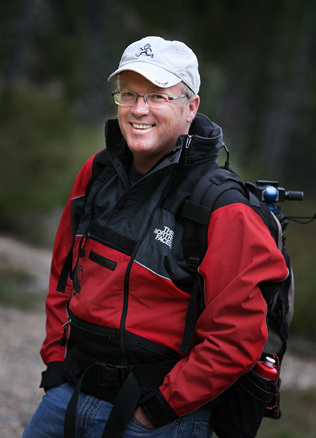 His images have appeared in Beautiful BC Magazine, Outdoor Photography Canada, Photo Life Magazine and BC Magazine. A number of the images in these galleries have also won international competitions. "I deeply love the Canadian wilderness. It is honest and it is true. It sustains us and it gives us life. But I worry that it is not safe from us now. In only the past decade, ancient forests I once knew are gone and lakes of crystal clear water are dry. Will we end up in Canada with a land of fake forest and paved meadow? What will become of our natural heratige? I wonder, is that what it will take?"